Soldering is an ancient technology. It is estimated that soldering was first discovered as long ago as 4000 BC. So soldering was much more ancient to Julius Caesar (100BC – 44 BC) than Caesar is to us today. Before considering soldering, let’s discuss early copper smelting, as copper is usually the metal soldered to. Consider the novelty of the first smelting of copper. 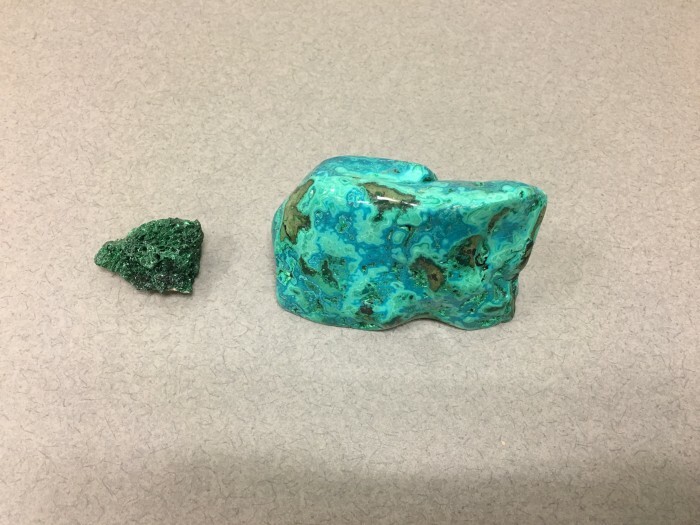 To smelt copper, our ancestors had to grind copper ore, malachite (See Figure 1. ), into a powder, mix it with carbon, and heat it to greater than 1085ºC (1985ºF). By the way, you can estimate the Fahrenheit temperature by multiplying the Celsius temperature by a factor of two and will only be off by < 10% from 100-1700ºC. Anyway, I recruited some graduate students to try and smelt copper as described above. They purchased many bags of charcoal, used a leaf blower to supply air and worked for two hours on two different attempts and failed both times. The next year some students built a tower with vents and put charcoal on the bottom with the copper ore and carbon in a crucible on top. 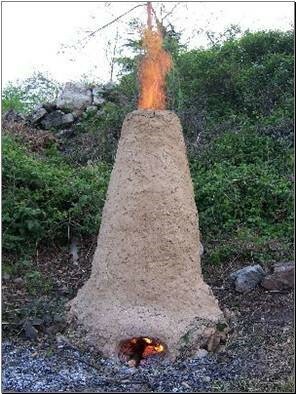 Their tower was similar to a roman smelting furnace for iron, see Figure 2. They were successful and produced a piece if copper about the size of a penny. Figure 2. A Roman Style Furnace. Dr. Ron's students built a similar tower from cynder blocks.